The adventurer from Alava was forced to give up the test because of frostbite on his fingers and discomfort in his knees. 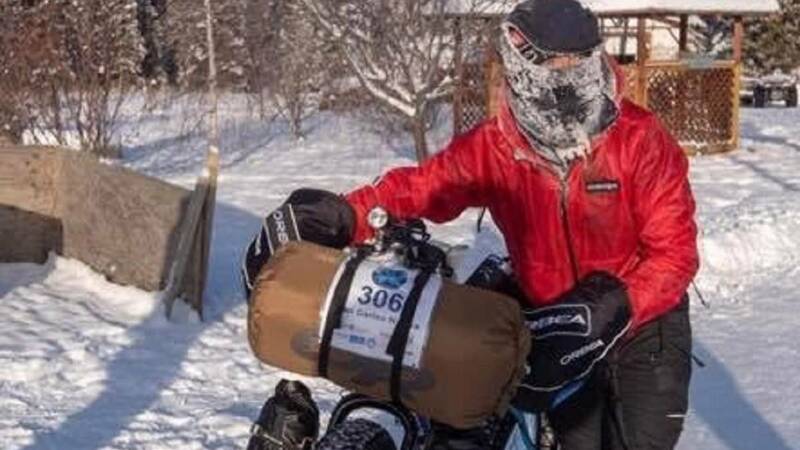 Alava adventurer Juan Carlos Nájera has had to abandon the Yukon Artic Race of Fat Bikes (adapted mountain bikes with very wide decks and with special design) as a result of freezing on the fingers. It has been the organization itself that has urged you to do so this past dawn. Nájera has extensive experience in similar competitions since it has twice completed the Idita Extrem of Alaska. But in 2019 the US test has been suspended and he has decided to embark on the Canadian Yukon. It consists of covering 500 km in a week. He left last Sunday and in the early hours of Tuesday to Wednesday he had to step on the ground. "The truth is that he was enjoying (and suffering) as he did not remember, he was living intensely, the sensation of sleeping lying there, in the middle of nowhere. Prepare a bed with pine branches to isolate yourself from the snow while you boil water to make dinner, when my fingers hurt and, above all, when I face a new day with 70 kms at 30 below zero and think that I can take 20 hours to do them, it's about being smart to continue enjoying this passion ", said the Alavés. The first day made 14 hours of activity and the second 17 but was still far from its goal. He also has a damaged knee. His plan is to return in the coming days to Vitoria and prepare new challenges for the future. For now, he will return to his job at the Orbea headquarters (Ermua, Vizcaya) and will be dedicated to organizing competitions. Juan Carlos Nájera usually designs and set up MTB races in Los Monegros, the Atacama Desert or Mauritania, among other places.